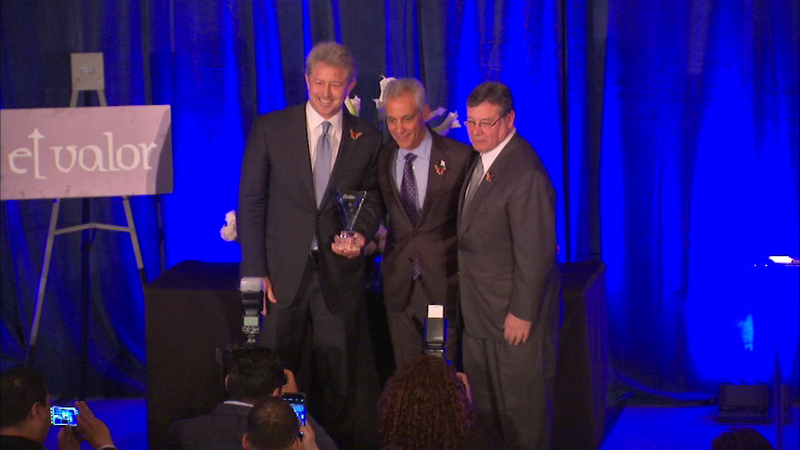 El Valor hosted its annual Don Quixote Dinner to honor individuals who make significant contributions to the group's community, including Mayor Rahm Emanuel. CHICAGO (WLS) -- People gathered for a meal Tuesday night to help children and adults with physical challenges. ABC7's Ron Magers was the emcee.